Refurbishment is a necessary step to reach the ambitious energy and decarbonisation targets for 2020 and 2050 that require an eventual reduction of up to 90% in CO2 emissions. While new buildings can be constructed with high energy performance levels, the existing stock is predominantly (c. 75 per cent) of poor energy performance and consequently in need of renovation work. However, prevailing renovation rates, averaged in the EU, are as low as 1 per cent and renovation depths are mostly minor. Both rate and depth of refurbishment must at least double and even triple to contribute in achieving the Paris Agreement targets in Europe. Integrated deep retrofit approaches can potentially eliminate fuel poverty. Zero energy retrofit in the social housing sector is often considered too costly, complex and intrusive to existing occupants. Therefore, buildings at the end of their lifecycle are often demolished and reconstructed rather than refurbished. Waterweg Wonen social housing association faced a similar dilemma with the estate they own and manage in Vlaardingen, Netherlands. The estate comprises of post-world war two apartment blocks, which are typical in the Netherlands (c. 300,000 m2) and across Europe (c. 8 million m2). The social housing association worked with EIT Climate-KIC to develop an innovative, affordable and integrated solution, while maintaining low living costs. 2nd SKIN, developed by TU Delft and implemented by start-up BIK Bouw, is a lightweight façade that acts as a building’s second skin. With this low-carbon solution, existing buildings, for the first time, can be easily upgraded, meeting eco-friendly building requirements and significantly reducing energy consumption and CO2 emissions. The concept includes excellent insulation, an environmentally friendly geothermal heat pump system to provide heating, cooling and hot water, and photovoltaic panels to generate electricity. The façade is installed at minimal disruption to the occupants, helps to create affordable housing and strengthens local economic opportunities, opening up possibilities for local workers and companies to install the technology. 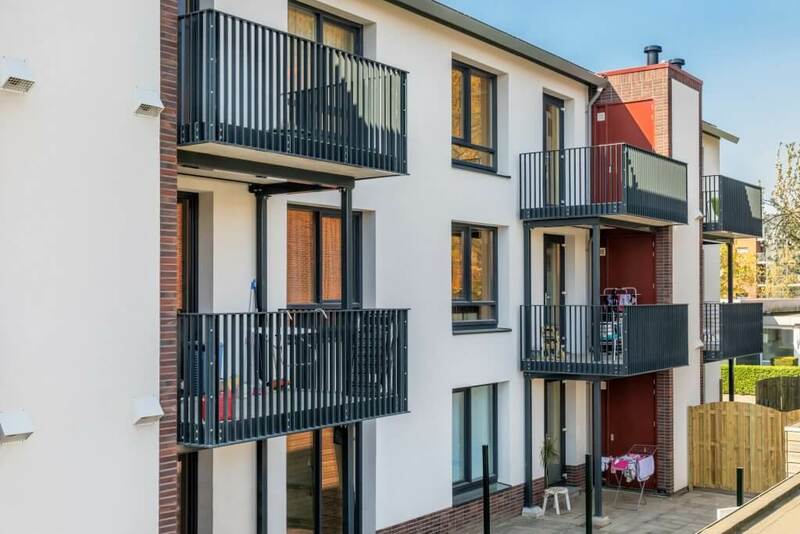 In a pilot demonstration in 2017, 12 apartment homes in Vlaardingen have been transformed into ‘zero energy’: the housing complex can generate its own (renewable) energy that is needed for both, the homes and tenants each year. The pre-retrofit energy need is assumed to be approximately 300 kWh/m2 per year, corresponding to label D. This gives savings of 8,059 kg CO2 eq /yr per dwelling, offering both an important contribution to achieving climate objectives as well as affordable long-term housing solutions. The 2nd SKIN project was one of the first deep retrofit projects in the Netherlands achieving “zero energy on the meter”. 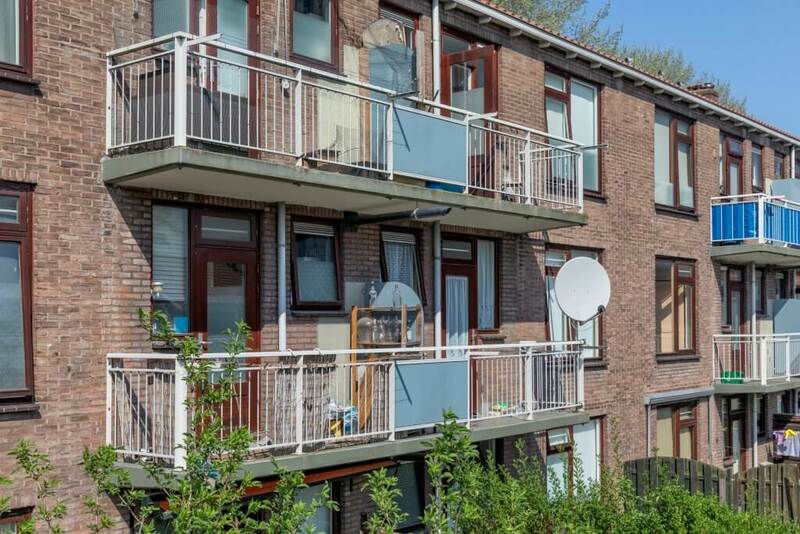 The pilot achieved a breakthrough in finding a solution to speed up refurbishment transition and now opens the way for a large-scale renovation of the existing housing stock of c. 300,000 houses of similar type in the Netherlands. After the success of the pilot demonstrator, the 2ndSKIN concept is now being scaled to over approximately 183 units, with work focusing on further developing the business model and examining the solution’s circularity. The project also resulted in a switch from gas for heating, hot water and cooking to an all-electric scenario. This was an important aspect of the project in the context of the Dutch government’s decision to end gas extraction in the country’s Northern parts by 2030. In a country where gas is widely used for heating and cooking, this decision has stimulated the discussion on turning neighbourhoods – such as Vlaardingen – into “natural gas free districts”. EIT Climate-KIC’s Smart Sustainable Districts team is currently working with Maassluis, a small municipality near Rotterdam, on an energy and sustainability transition to a low carbon, gas free economy. A significant commitment at the project start was that the retrofit would not result in additional utility costs for the residents. The shift to “zero energy” indeed significantly lowers utility costs, proving that 2nd SKIN can be a powerful tool to eliminate fuel poverty. Furthermore, as the apartment block is now generating electricity onsite, Waterweg Wonen social housing association took on a new role as utility provider. The project also achieved a shift in the mindset of the parties involved in such building projects. Typically, proﬁt is directly correlated to the amount of working hours and materials, hence there is an incentive to maximise the amount of work per project. However, a large-scale concept such as 2nd SKIN aims to minimise the work, making it – at first sight – a financially less attractive option for a project team. To overcome this barrier the partners entered into a multi-annual agreement that described how they will share investments in and revenues from the product development and market introduction of 2nd SKIN. Sharing total project revenues and launching the new product to a much bigger market gave the partners the incentive to minimise their work per job to ensure an increase in the overall revenues that were left to share. At the same time, partners committed to split the innovation costs amongst themselves on a fair, equal basis. The 2nd SKIN project was incubated into one of EIT Climate-KIC’s flagship programmes focusing on deep retrofit and decentralised energy. Other pilots in the field of deep retrofit are underway across Europe with partners such as ETH Zurich, Chalmers University of Technology, Technical University of Delft, Technical University of Berlin, UKGBC, AESS (Italy), IVE (Spain), NAPE (Poland). For more information, please visit our website https://bta.climate-kic.org and get in touch: ut@climate-kic.org.